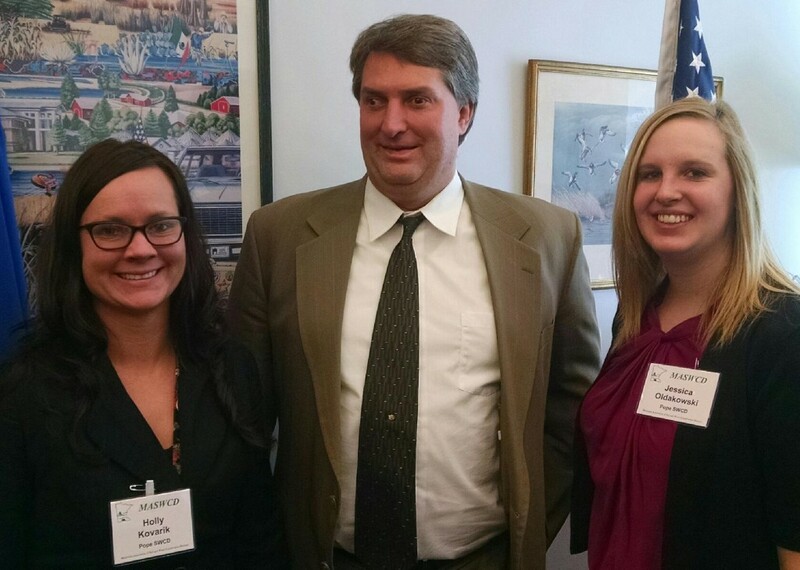 Holly Kovarik and Jessica Oldakowski from Pope Soil and Water Conservation District, attended a legislative briefing and meetings at the State Capitol March 21-22nd in St. Paul. 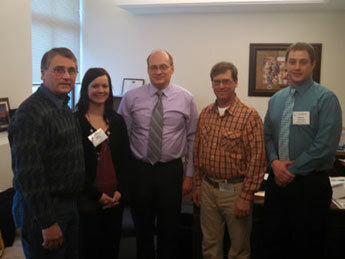 “It is important for us to get the conservation message out to our elected officials in St. Paul,” said Kovarik. The 2016 Legislative Session will be critical to the future of conservation programs in the state, noted Kovarik. “This year legislators will address issues including buffers, appropriations of constitutionally dedicated sales tax funds, bonding funds, and policy issues. Local Soil and Water Conservation Districts are an integral component for enhancing Minnesotan’s quality of life through conservation on private lands, which yields environmental, wildlife and aesthetic benefits to the public. 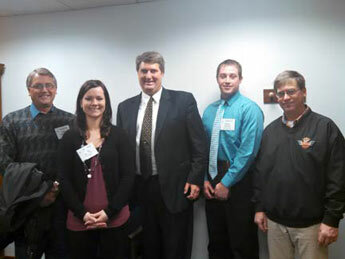 During the visit to St. Paul, Kovarik and Oldakowski met with local legislators Representative Paul Anderson, Representative Jeff Backer, and Senator Torrey Westrom. SWCDs fill the crucial niche of providing land and water conservation services to owners of private lands. Minnesota has 89 Soil and Water Conservation Districts. For more information on the Pope Soil and Water Conservation District, please call 320-634-5327 or visit our website at www.popeswcd.org. 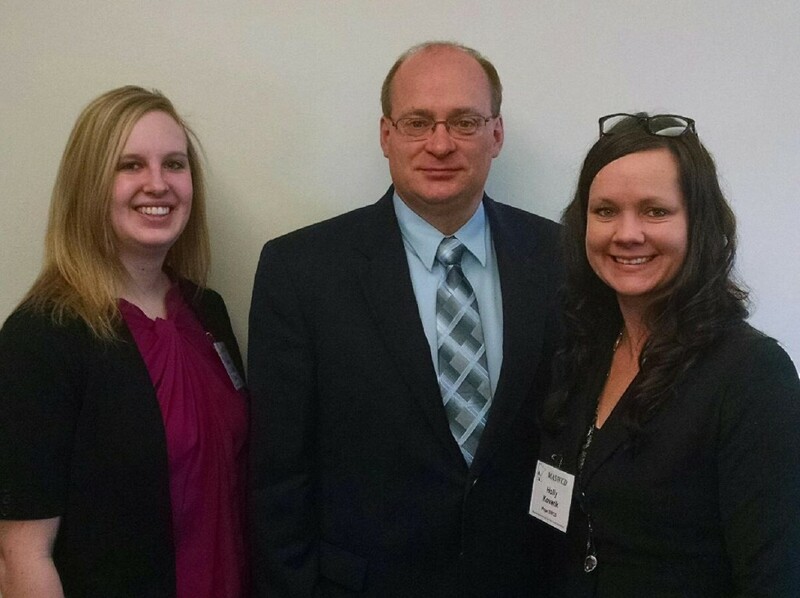 Keith Nygaard, Holly Kovarik, and Kelly Erickson from Pope Soil and Water Conservation District, attended a legislative briefing and meetings at the State Capitol January 26-27 in St. Paul. “It is important for us to get the conservation message out to our elected officials in St. Paul,” said Keith Nygaard, of Starbuck, MN. 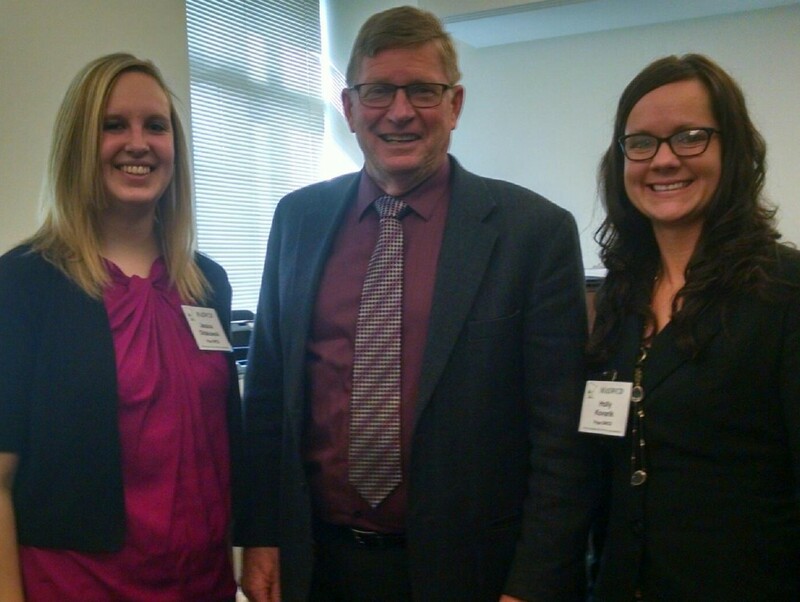 The 2015 Legislative Session will be critical to the future of conservation programs in the state, noted Nygaard. “This year legislators will address issues including a biennial budget, appropriations of constitutionally dedicated sales tax funds, and policy issues. Local Soil and Water Conservation Districts are an integral component for enhancing Minnesotan’s quality of life through conservation on private lands, which yields environmental, wildlife and aesthetic benefits to the public. 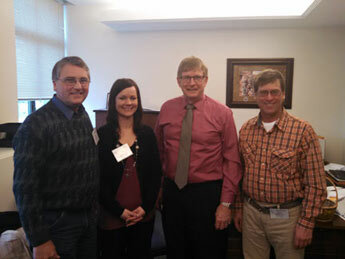 During the visit to St. Paul, Kovarik, Nygaard, and Erickson met with local legislators Representative Paul Anderson, Representative Jeff Backer, and Senator Torrey Westrom. SWCDs fill the crucial niche of providing land and water conservation services to owners of private lands. Minnesota has 89 Soil and Water Conservation Districts. For more information on the Pope Soil and Water Conservation District, please call 320-634-5327.